Illus. in full color. 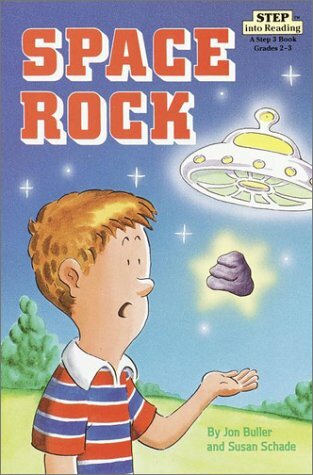 "The unusual purple rock that Bob has found begins to talk, telling him that it fell out of a space ship and needs Bob's help to return to the planet Kal-dor. The subject matter will help lure problem readers and the simple vocabulary will keep them going. Vivid watercolors will add to children's enjoyment."--Booklist. About Jon Buller (Illustrator) : Please do not mock me: I'm an old man who's senile and quite foolish, Sixty and upward, not an hour more or less, And to speak frankly, I fear that I am not in my right mind.